Whether it’s on the hardwood, the homecoming court, or the hallways, Auburn senior Blanche Alverson is always getting recognized. But that’s to be expected when you’re a star player for the women’s basketball team, Miss Homecoming, former SEC Scholar Athlete of the Year, and community service leader. The life of a Division I student-athlete can be hectic, especially at a power conference school like Auburn. Alverson, a native of Andalusia, Ala., takes hectic to the next level. In addition to her role as a leader on the court, she is the founder of the community service initiative “Ballin’ For Books”, a pre-med major with a 3.68 GPA and a member of the Kappa Delta sorority. Finding time for it all is hard, but Alverson wouldn’t have it any other way. Despite having been involved in so many activities during her career at Auburn, Alverson wasn’t always “All In”. While most of her family went to Auburn–her great-grandfather Rube Alverson played baseball for the Tigers–this former National Top 50 HS recruit wanted to do her own thing. But when Alverson started seriously looking at other schools, none measured up. After signing with the Tigers and moving onto campus, Alverson was quickly thrown into Auburn’s rotation, getting major minutes as a freshman. She would later start every game of her sophomore season, the only Tiger to do so in that 2010-11 NIT campaign. Last season, it was Alverson’s efforts off the court that got attention. 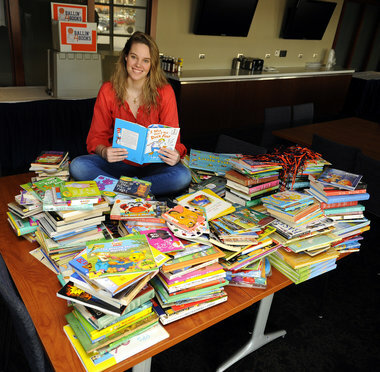 The “Ballin’ For Books” campaign collected over 1,000 books for local schools and the Boys and Girls Club. After being named to the SEC Community Service Team for the second straight season, Alverson was awarded the SEC Scholar Athlete of the Year for women’s basketball. And then came major changes to Auburn’s women’s basketball program. Terri Williams-Flournoy was hired to replace former head coach Nell Fortner, meaning Alverson had to adjust to a new staff, playbook and philosophy as a senior. Blanche with her father after being named Miss Homecoming. But even with all the offseason adjustments, Alverson was able to run a successful campaign–using “Ballin’ For Books” as her platform–to win Miss Homecoming last November. “It was something I really enjoyed doing, especially bringing more awareness to the (“Ballin’ for Books'”) campaign,” Alverson says. “Now when we do it later this year, more people will know about it and hopefully help out the cause. And it hasn’t affected her game. Alverson has kept up her high level of play, averaging 12 points and six rebounds per game. Last month, she became the 27th player in Auburn history to reach the 1,000 career point mark. Last Thursday night against LSU, Alverson moved into second all-time in career three-pointers made. But does her reputation as the SEC’s only homecoming queen on the hardwood—currently, or maybe ever—precede her in games? At 6″3, Blanche Alverson is the tallest Miss Homecoming in Auburn history. Not that anyone’s checked — but they don’t really need to. 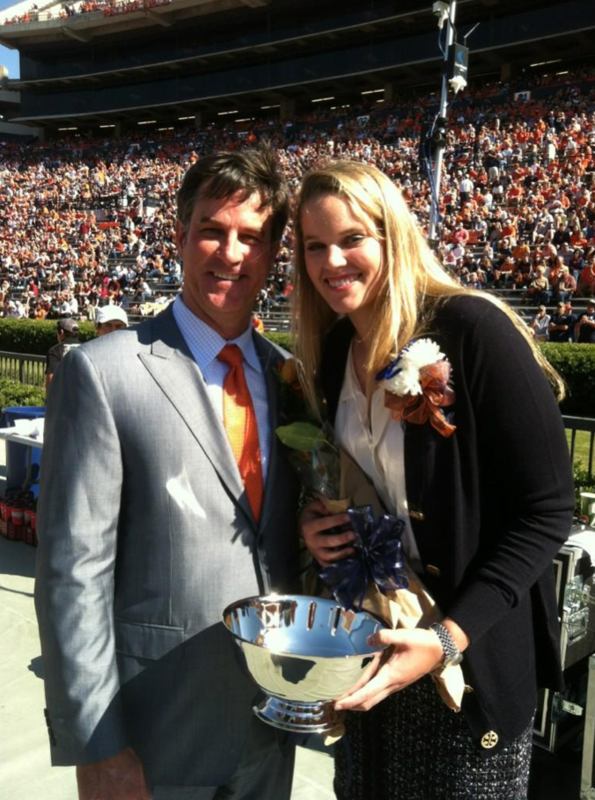 Despite her achievements, Alverson says what she’ll treasure most from her career at Auburn are the experiences—but not a game-winning shot or even winning Miss Homecoming. “The first home game I started during freshman year is my favorite moment at Auburn,” Alverson says. “I’ve started plenty of games before, but it was that first home one that I cherish. You remember hearing the crowd cheering for you when you first run onto the court. I remember seeing my entire sorority in the stands, wearing t-shirts supporting me and the team. It was a pretty cool feeling. So what’s next for Blanche Alverson? Medical school? Coaching? President? 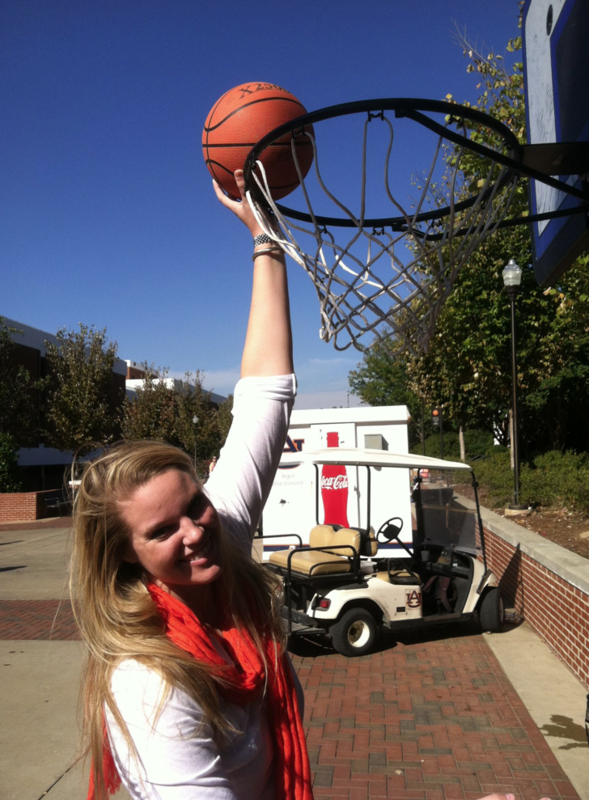 With all that Alverson has accomplished at Auburn and her killer jump shot, who could blame her? Top photos: Todd VanEmst, bottom photos via. Related: Cam Newton talks with Fox News about returning to Auburn for his sociology degree.